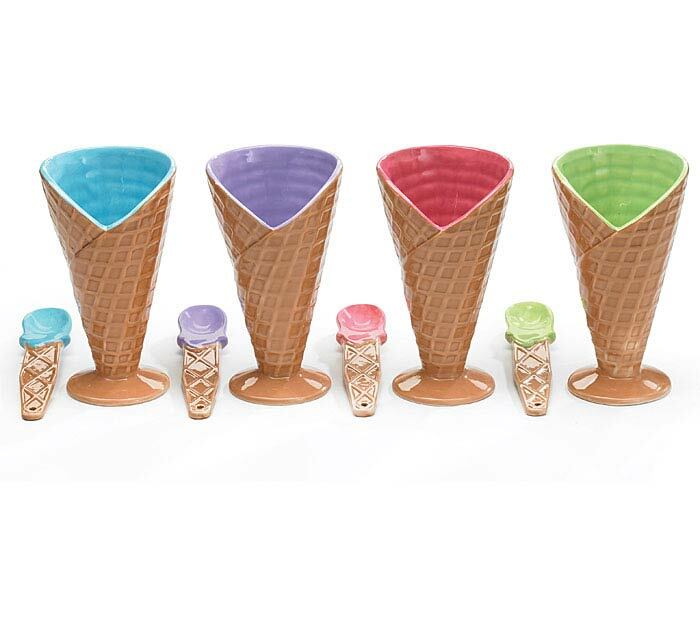 Waffle cone shaped ceramic vases. Hand-painted. Can be used for ice cream or as a vase. 7"H x 3.25"Opening. Spoon included.